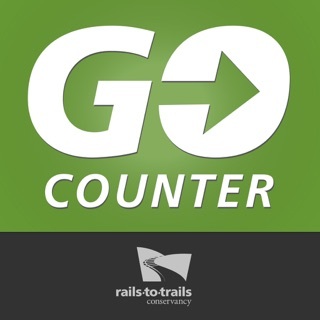 TrailLink, powered by Rails-to-Trail Conservancy, is the ultimate trail-finder app for all outdoor enthusiasts. Download TrailLink today to enjoy full-length trail descriptions, reviews, photos, and detailed trail maps not found anywhere else! TrailLink is powered by Rails-to-Trails Conservancy (RTC) expert trails database which offers unique trail-finder functionality for more than 30,000 miles of multi-use trails. The TrailLink app also offers in-app purchases for RTC's detailed offline trail maps which can now be downloaded in the TrailLink app to fully empower your on-the-trail adventures! Take TrailLink with you and let Rails-to-Trails Conservancy be your expert guide out on the trail. Try it out and register today to get your first map for free! TrailLink offers in-app purchase map bundles which allow you to download RTC's detailed trail maps for offline use at 3 maps for $1.99, 7 maps for $3.99, or 15 maps for $7.99 to fully empower your on-the-trail adventures! Or, if you prefer, you can purchase the Unlimited subscription in the app directly through your iTunes Account for $29.99 for 12 months of unlimited offline map downloads. The TrailLink Unlimited subscription will automatically renew for $29.99 after 12 months unless you cancel your subscription at least 24hrs before the end of the current subscription period. You can cancel at any time and manage your subscription, including turning off auto-renewal, in your Account Settings. Plus, your purchase helps support to the mission of Rails-to-Trails Conservancy! Rails-to-Trails Conservancy's GIS mapping initiatives have produced more than 30,000 miles of highly accurate trail maps which include tens of thousands of amenity waypoints such as parking lots, trailheads, tunnels, restrooms, drinking fountains & much more — all available for download in the TrailLink app! •Support the mission of Rails-to-Trails Conservancy! 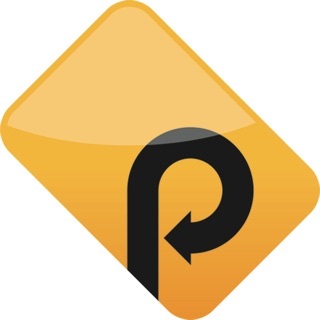 Download TrailLink today and let RTC guide your way! I love this app. We just got into biking this year and have enjoyed trying out new routes. I prefer biking on trails more than roads and have downloaded a dozen maps so far. They are very useful since most trials don’t have adequate signage and therefore we can use gps with the app. My only complaint is this. We prefer to ride a minimum of 20 miles at a time. If I see a trail that is only 3 miles long I will skip it. Not worth the drive. But I’ve realized that a lot of these continue where another trail ended. It’s really hard to see this on the app. Would be nice to have a filter on the app that would show all the trails in an area. All in all I love this app. Can’t wait to go out and explore more trails. Since I travel a lot, I find this app useful for zeroing in on trails that I can enjoy while in new places. The app saves me time by providing local information & helpful hints to maximize my experience. Thanks!! Also, I cannot understand how anybody could ever complain about paying a bit for work that others do, to make your life more enjoyable. Seriously, the app creator/manager seems to be communicative w users & wants to improve the app ongoing. Thanks for your support, Staeces! I think folks sometimes forget RTC is a non-profit trails organization and our primary mission is to help folks get out and enjoy trails! It's not an easy feat to create a model that sustainable but we try our best to keep improving our website and apps! Happy Trails! The iPad version is simply a scaled up version of the iPhone version. Very annoying. I tried to write a review for the extension of the Bruce Freeman Rail Trail in Acton, MA, and I was limited to about 3 lines of text without a scrolling capability. I was unable to complete my review because I could not see what I was typing. Too bad, because I was attempting to post a 5 star rating for the trail but the app let me down. The app also only works in portrait mode 😕 which is VERY annoying. Perhaps these issues are why I had removed the app from my iPad (I needed to re-download the app to post a review). Please fix it!